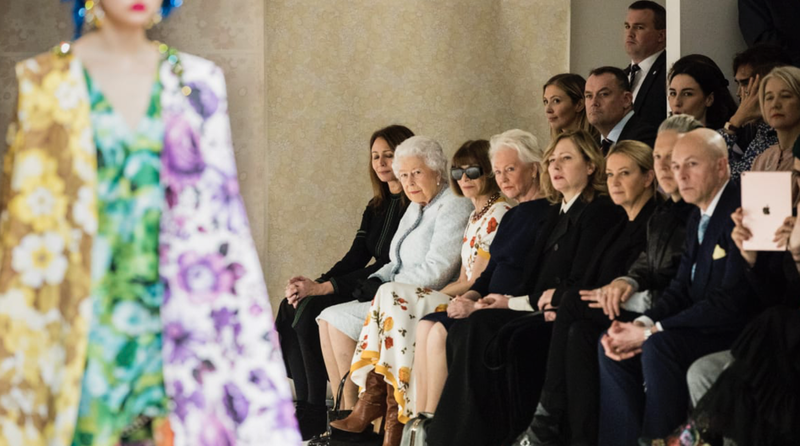 At 91 years of age, Queen Elizabeth II attended her first London Fashion Week Show. A surprise for many, headlines began to buzz even more when she and Anna Wintour, Editor-in-Chief of Vogue were seen sitting next to one another. Conversing and engaging in friendly laughter many went into a frenzy on social media over the epic moment. Sitting front row at Richard Quinn's this picture-perfect moment is one that goes down in the books. Imagine sitting front row at Fashion Week next to the Queen, what a moment that would be.